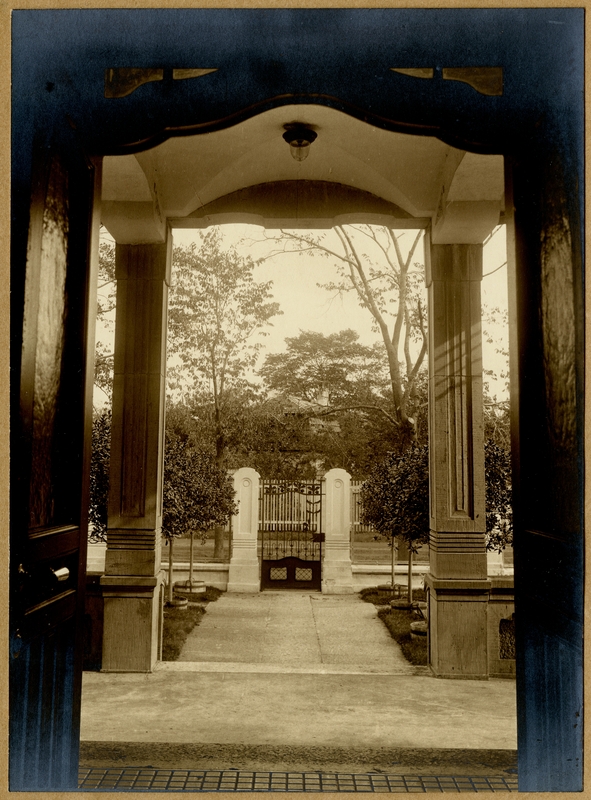 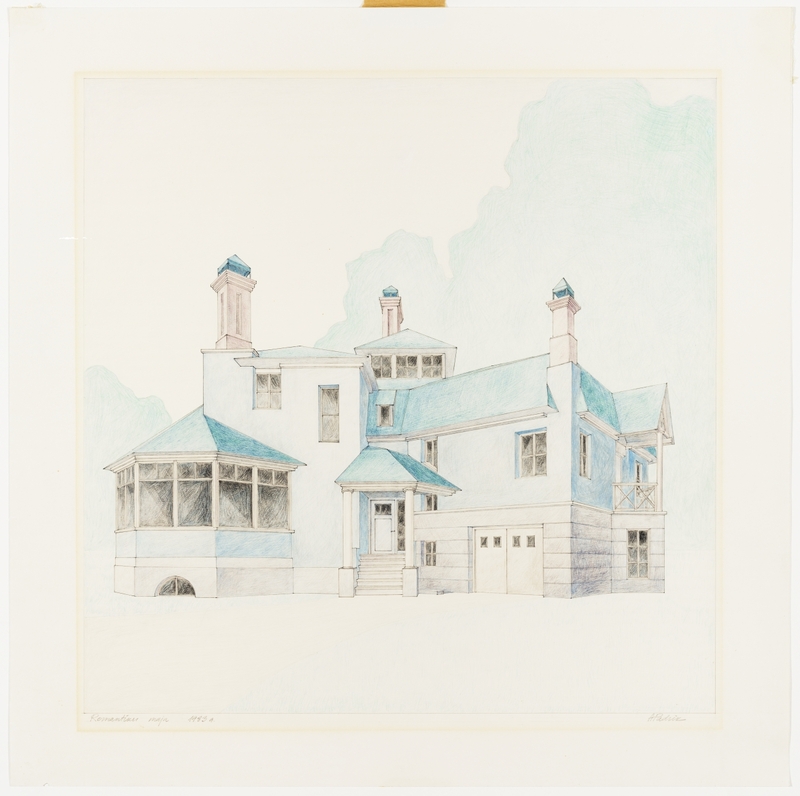 The newest addition to the museum collection is related to the well-known Art Nouveau villa in Estonia. 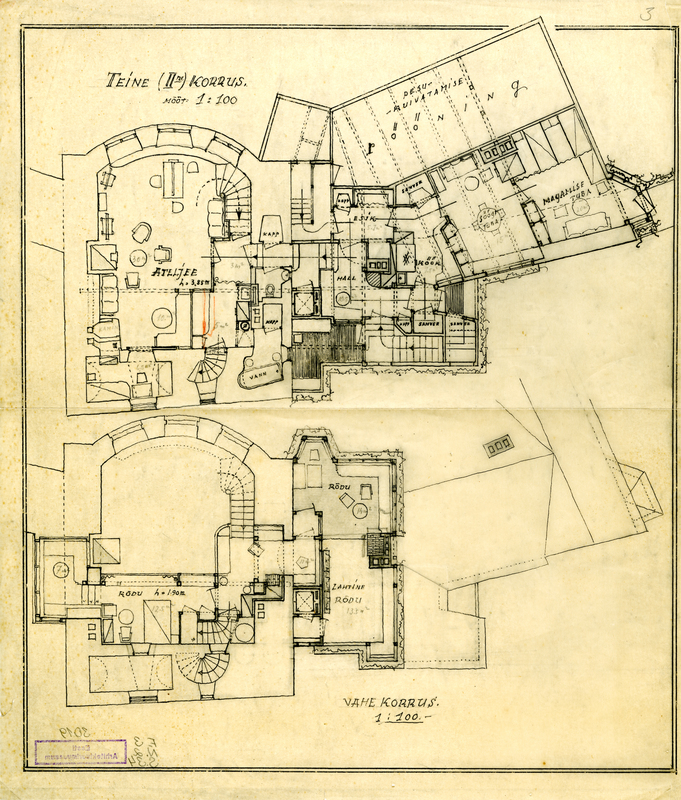 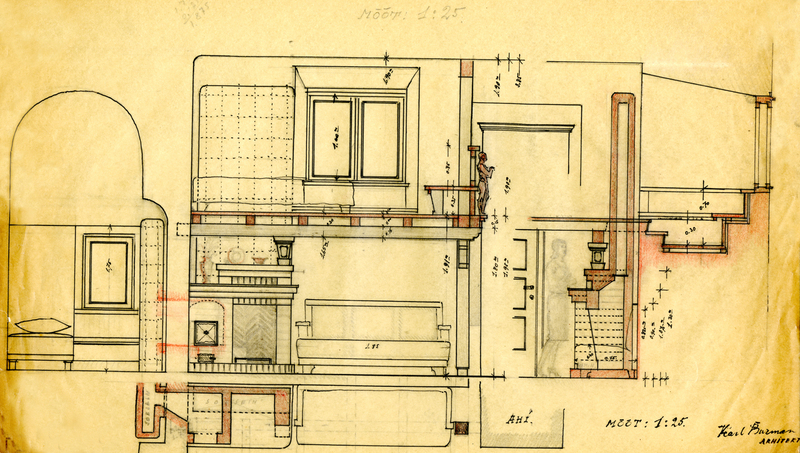 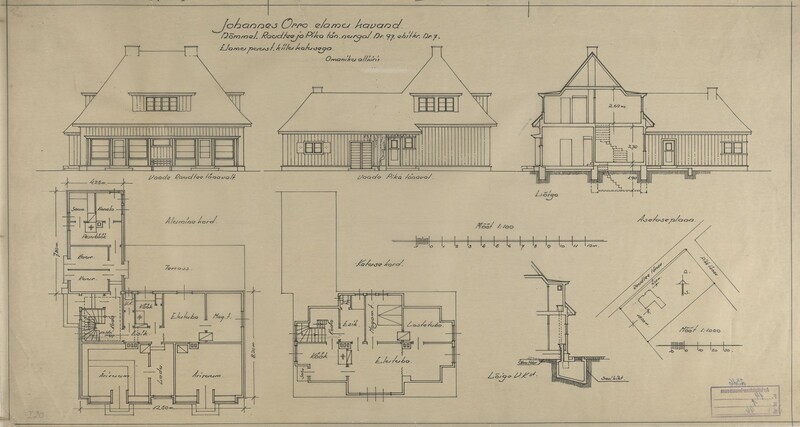 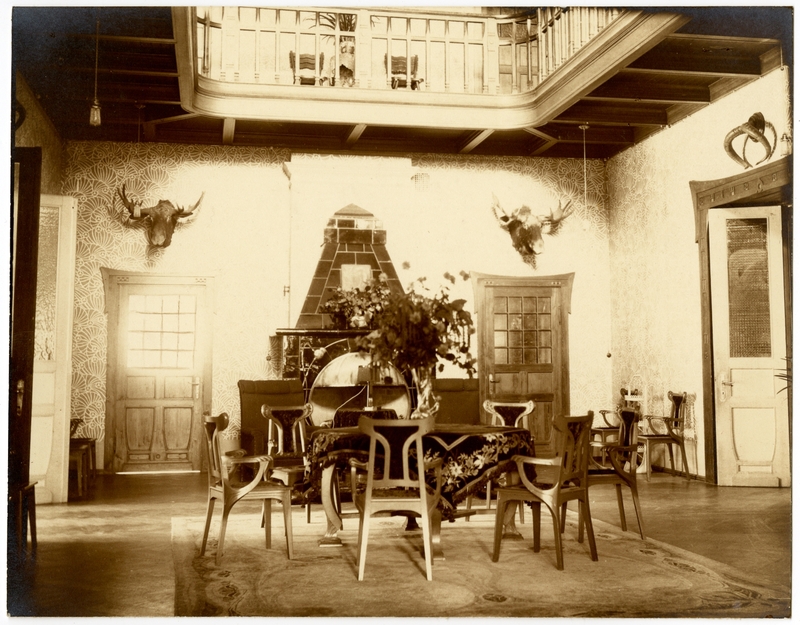 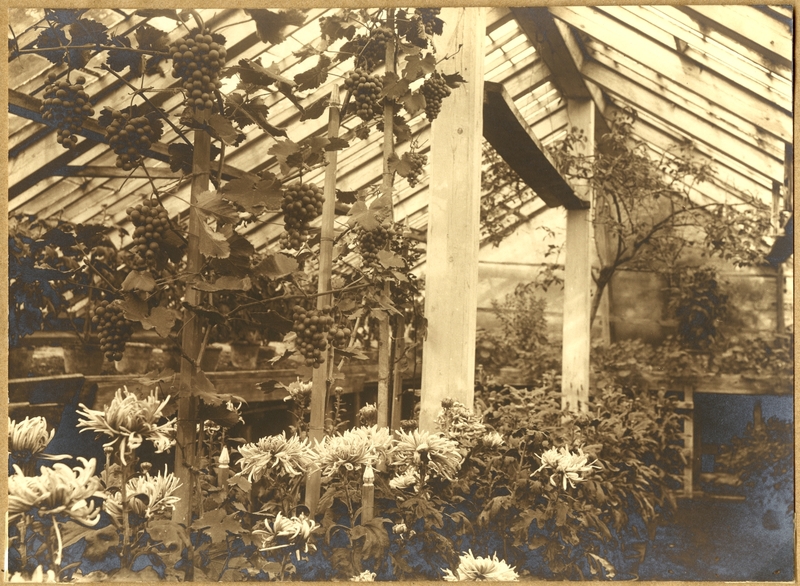 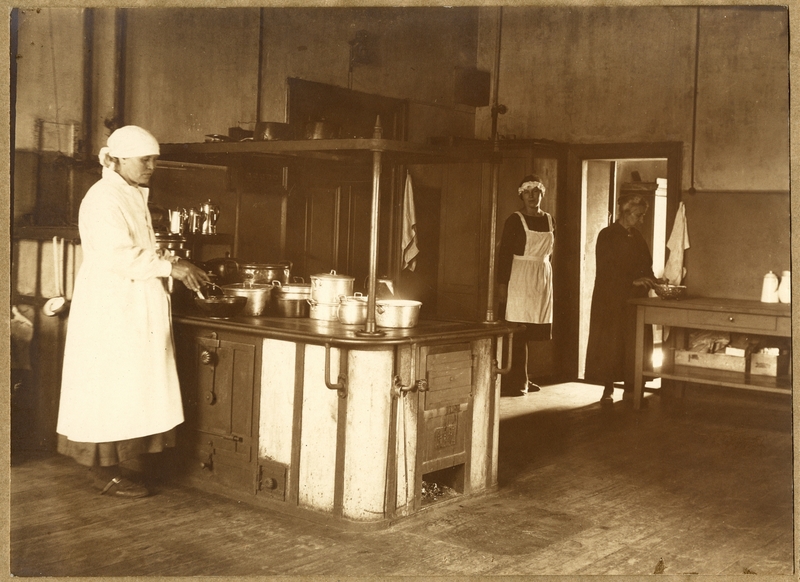 The album of Villa Ammende in Pärnu (architect Frithiof Mieritz, 1904) is exceptional not only for its photos of large variety of exteriors and interiors but as well as for some of the pictures taken from unusual places such as the kitchen with its staff, backyard and greenhouse depicting fruity grapes. 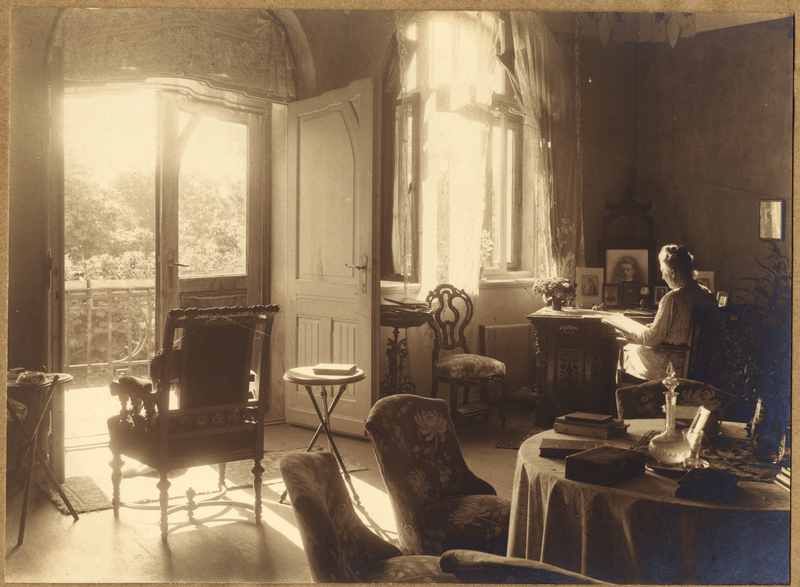 The album shows the life and living manners of the family of a prosperous merchant displaying splendid furniture, textiles and items. 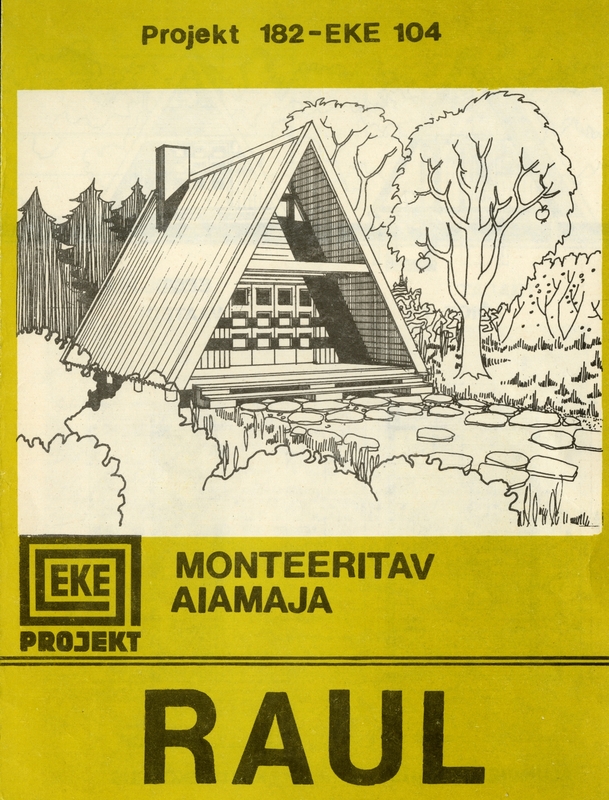 The “EKE Projekt” was founded by inter-collective-farm construction company in 1966; it was based on co-operative ownership that lasted for 1992. 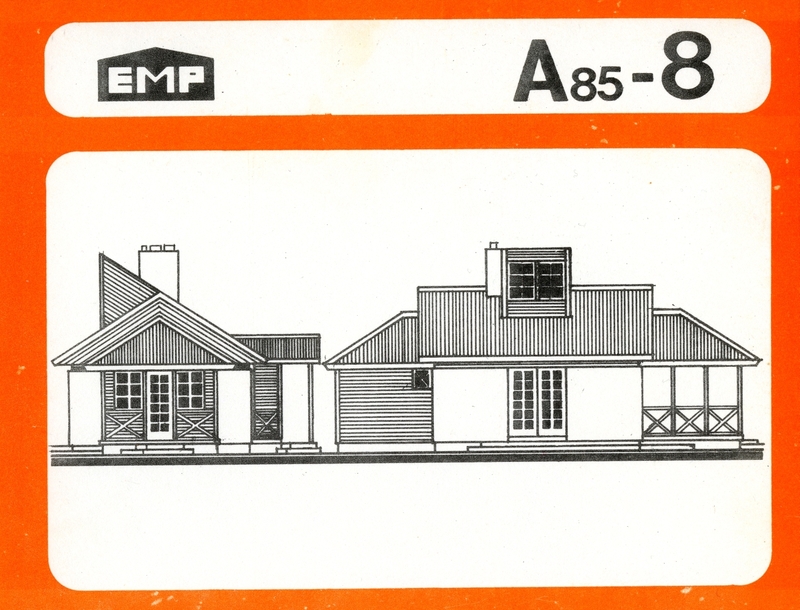 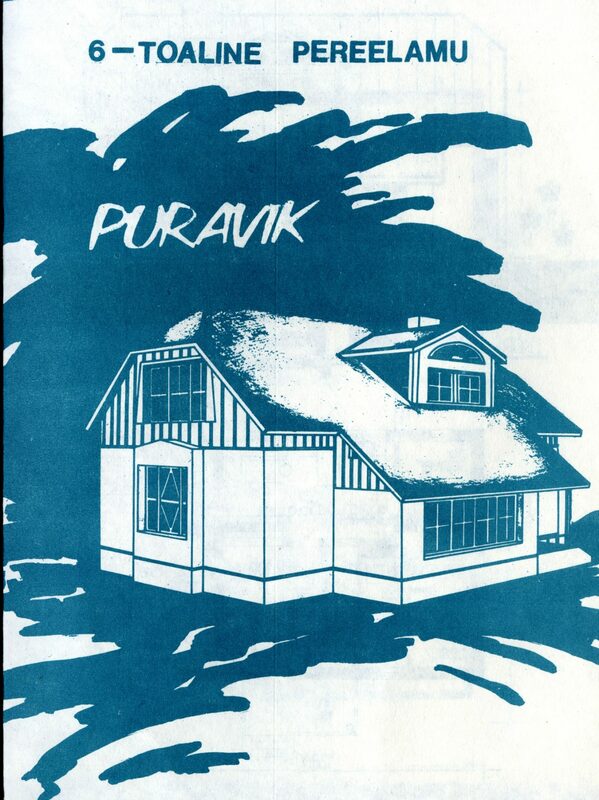 The bureau was focused on rural architecture. 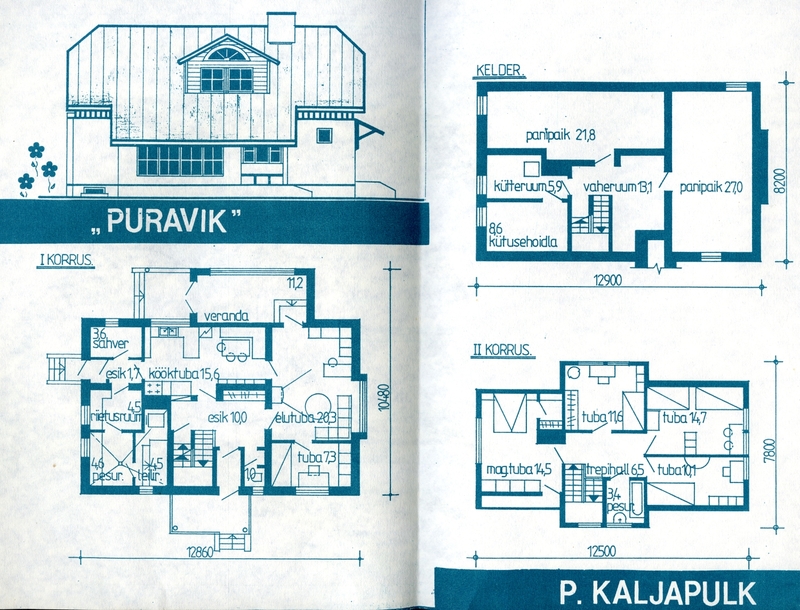 Here on four hand-outs are some of the buildings designed by “EKE Projekt” to help homeowners and cooperatives pick a house. 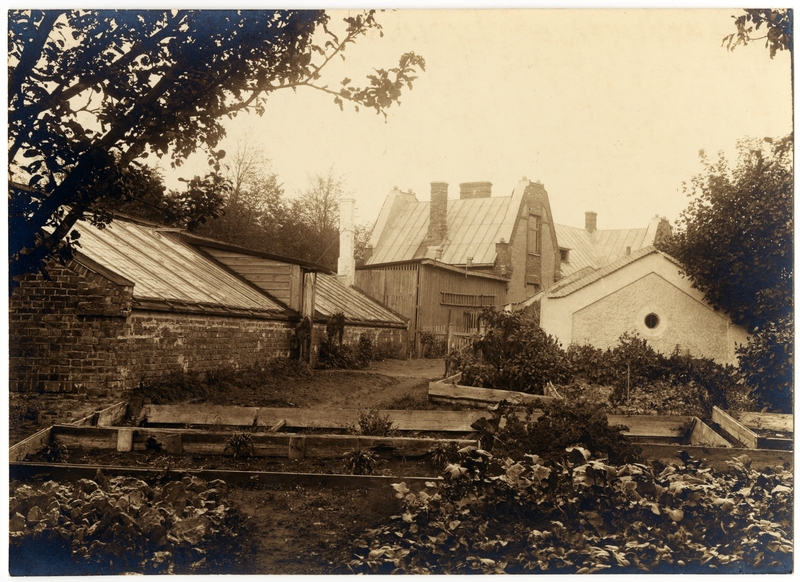 The project’s plans varied – from dwellings to shops and root cellars. 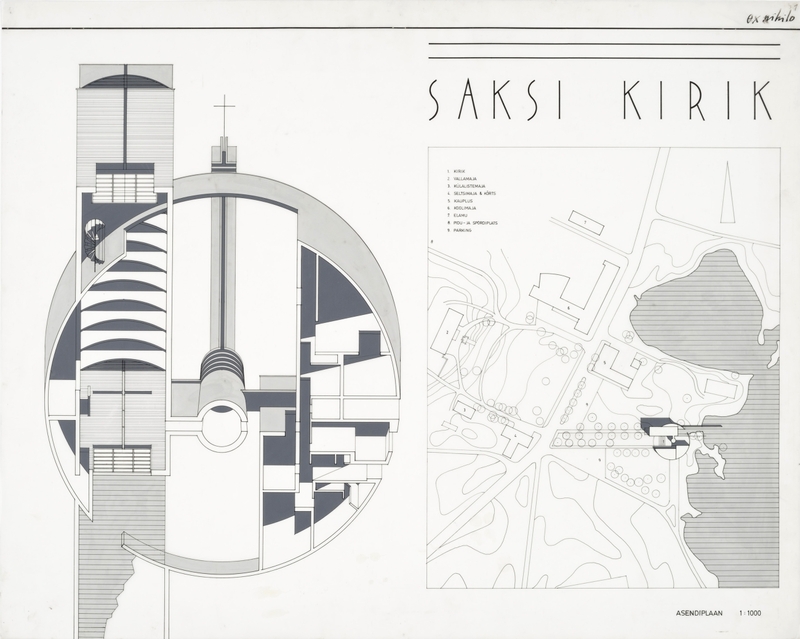 In the 1970s, in order to voice common opinions and organise a number of social-critical exhibitions and undertakings, avant-garde architectural students united to form a group later called the Tallinn School. 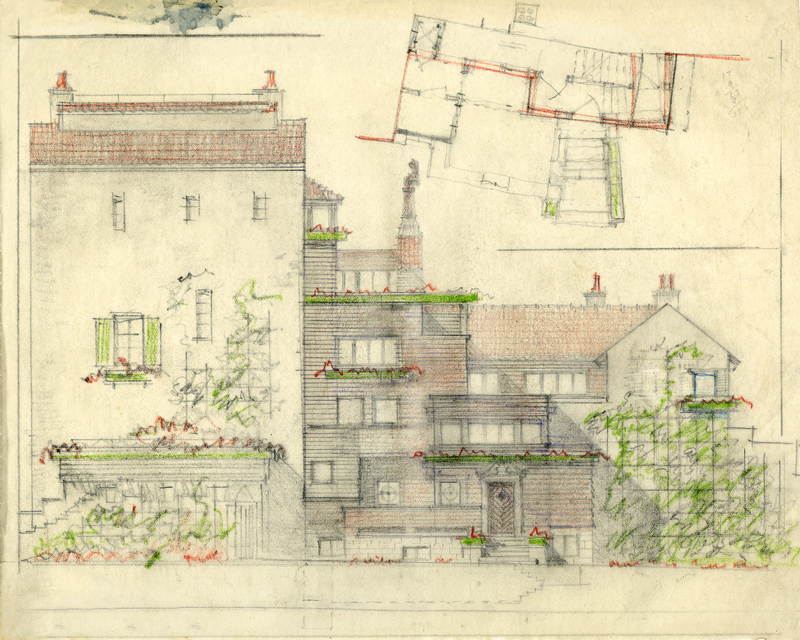 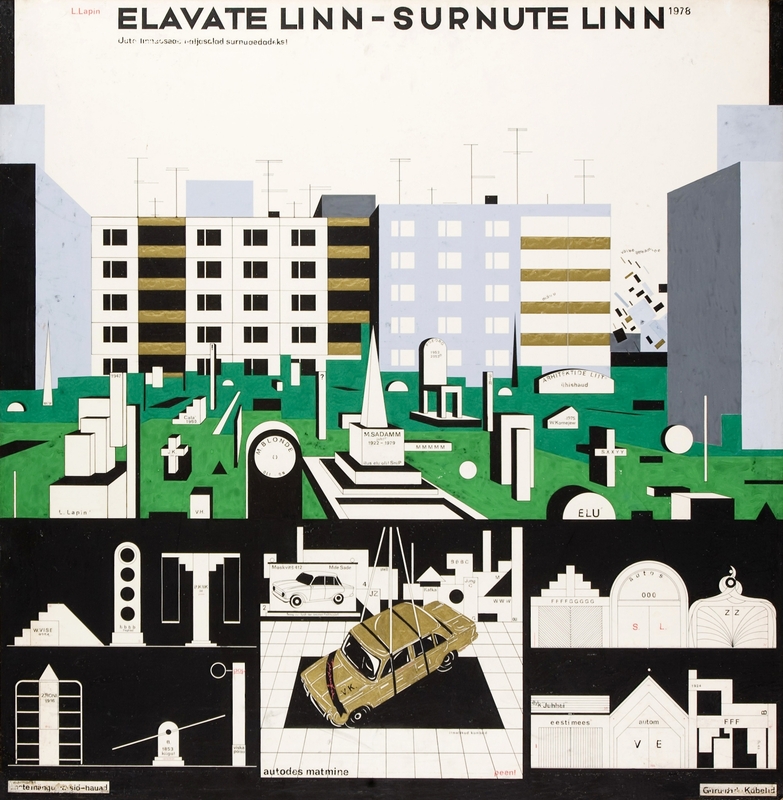 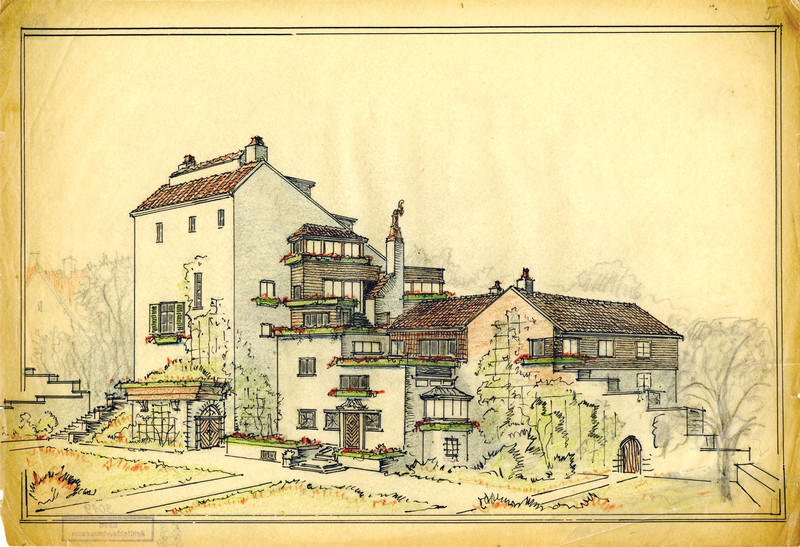 “Elavate linn – Surnute linn” (“City of the Living – City of the Dead”) is Leonhard Lapin’s satirical take on the construction of characterless mass housing. 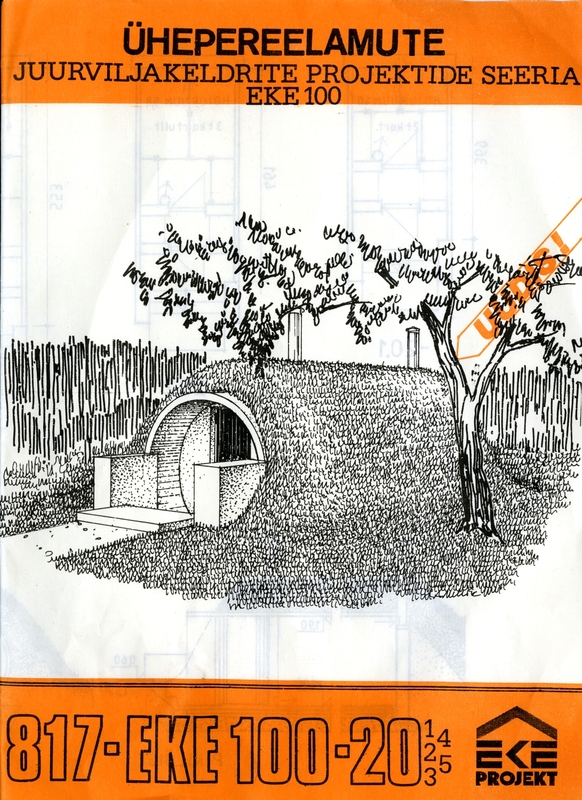 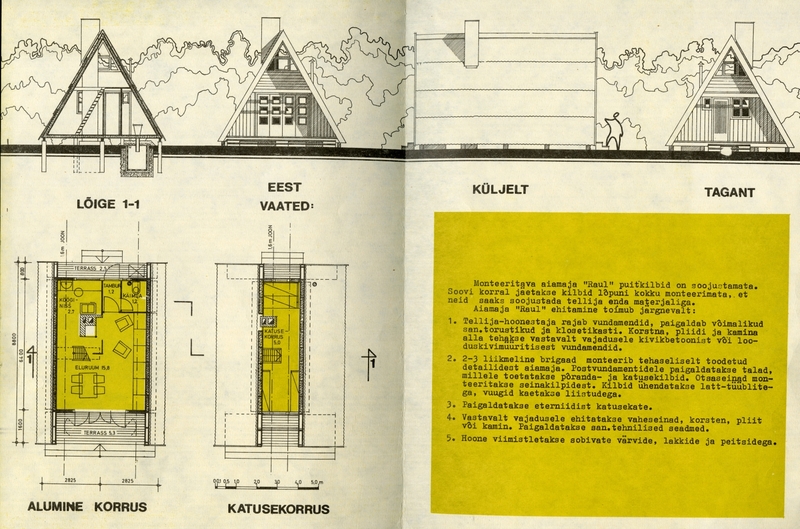 The author hid several important allegories in the drawing: the words “Väike õhkamine” (“Little Sighing”) stuck between the buildings symbolise the Pruitt-Igoe Modernist housing project in St. Louis, MO, USA (demolished in 1972); while “Autodes matmine” (“Burial in cars”) in the centre of the work references Lapin’s friend Vilen Künnapu (also an architect), who was one of the first members of the Tallinn School to acquire a vehicle. 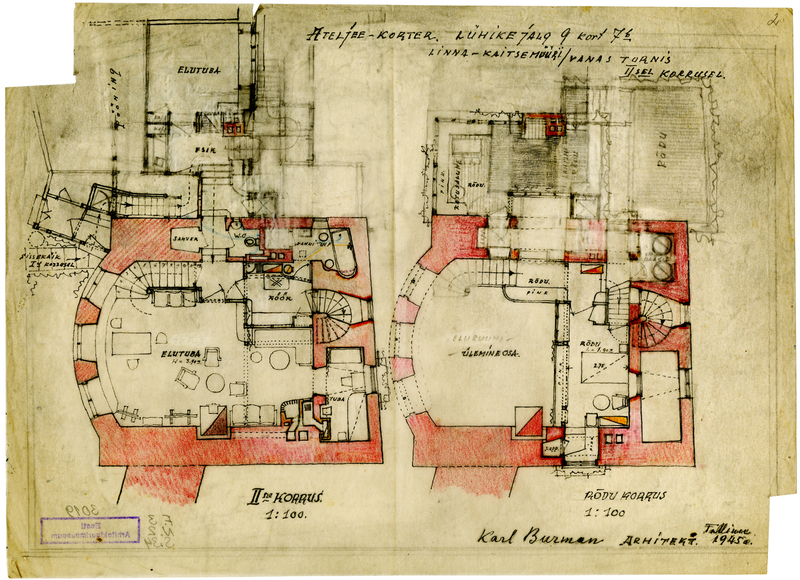 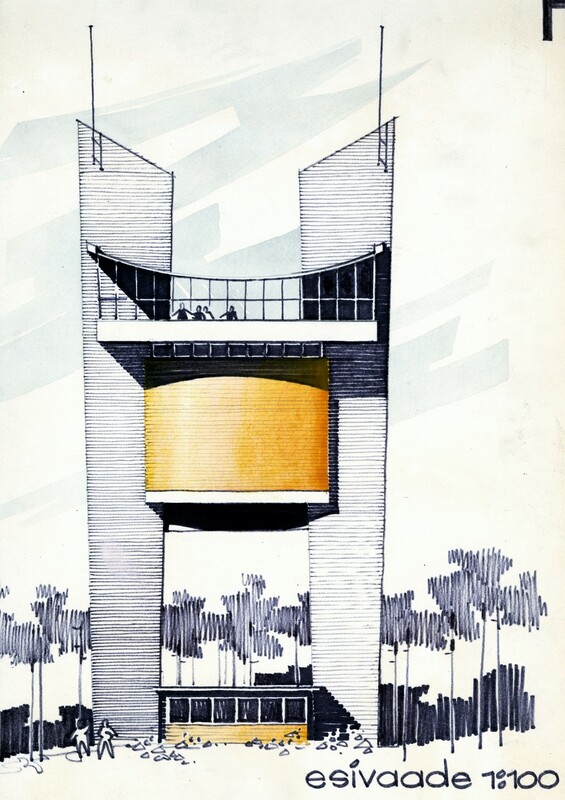 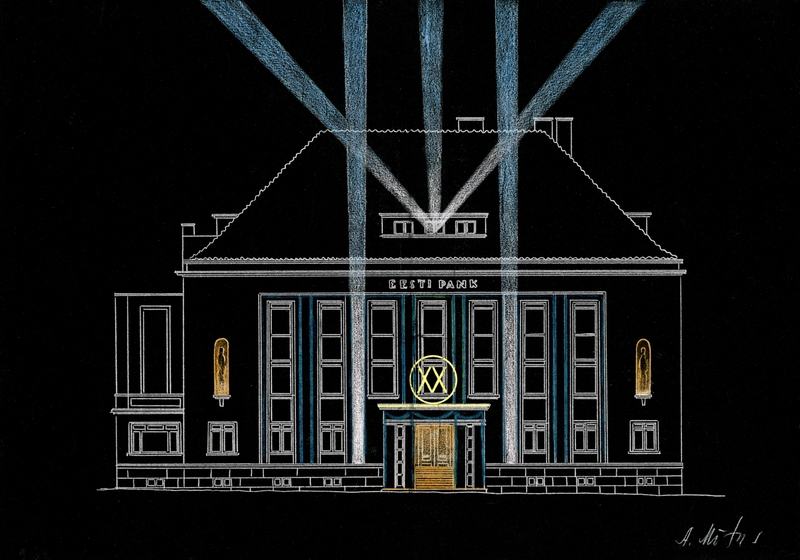 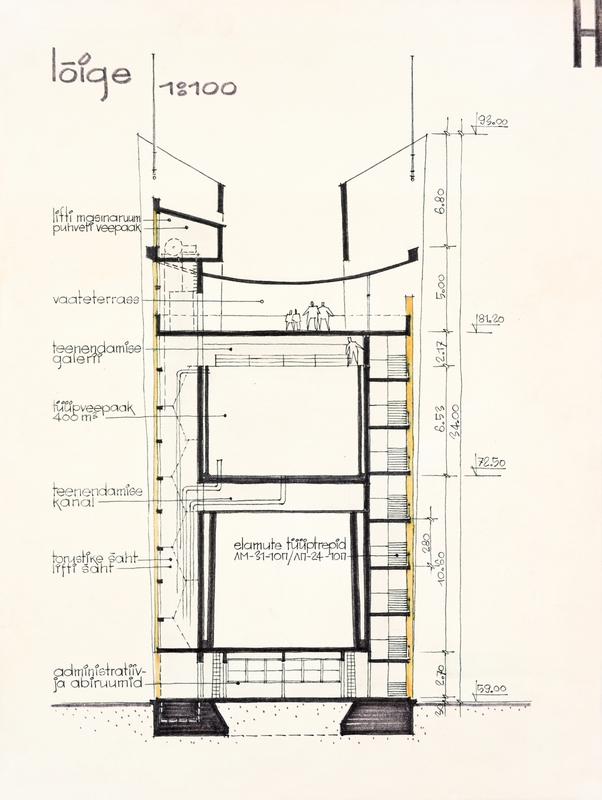 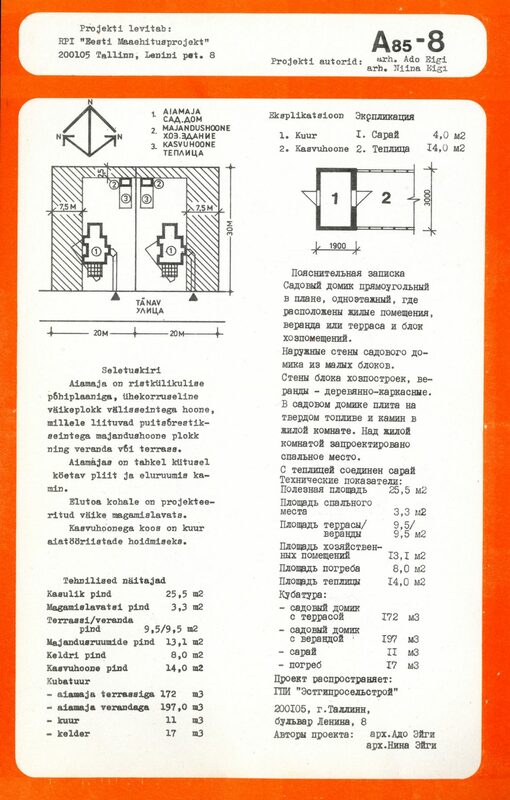 The drawing was displayed at the Library of the Estonian Academy of Science in 1978 among other works of which many were donated to the museum by engineer Reet Lumiste in 1991. 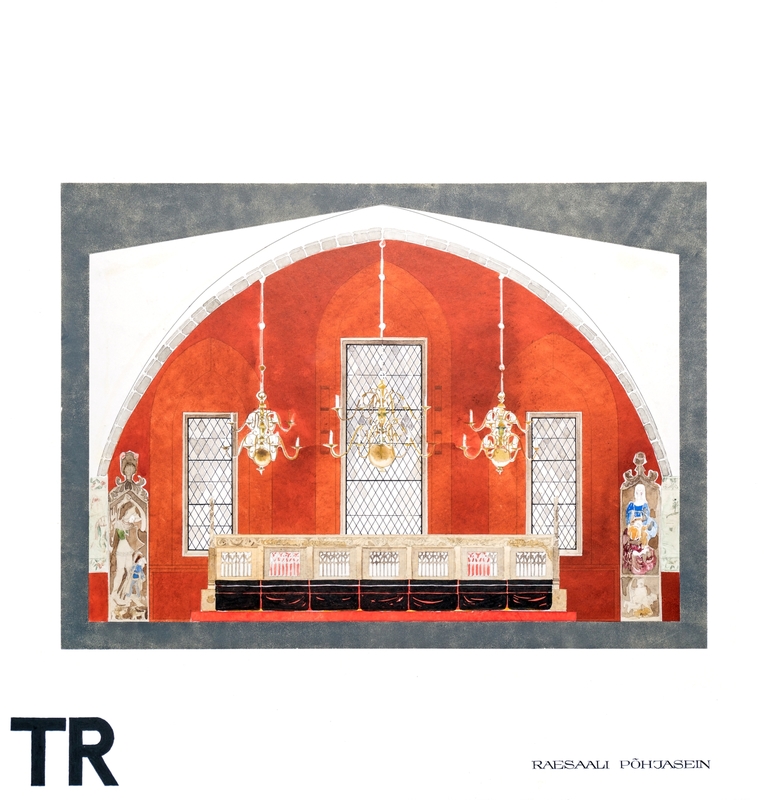 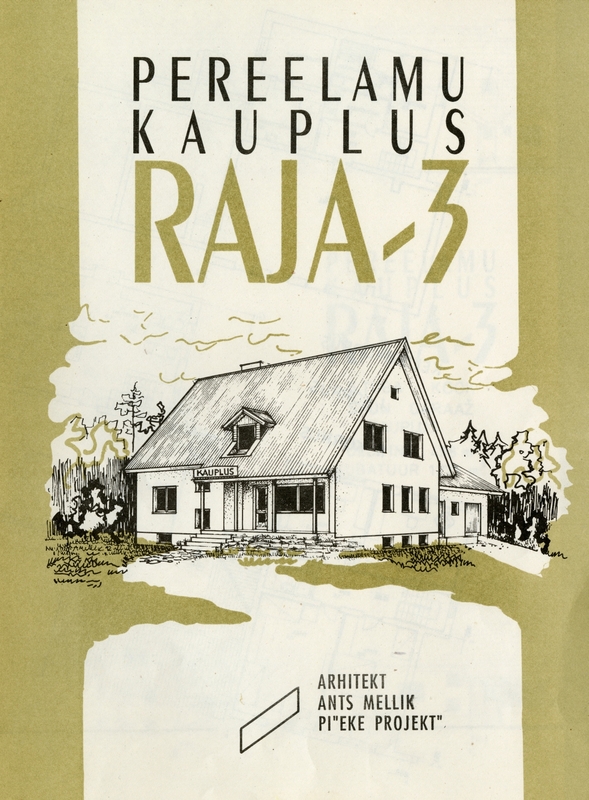 In the 1980s young architects Raoul Kurvits, Peeter Pere, and Urmas Muru formed the radical Rühm T (Group T) artists’ group, which proclaimed that architects are artists, also. 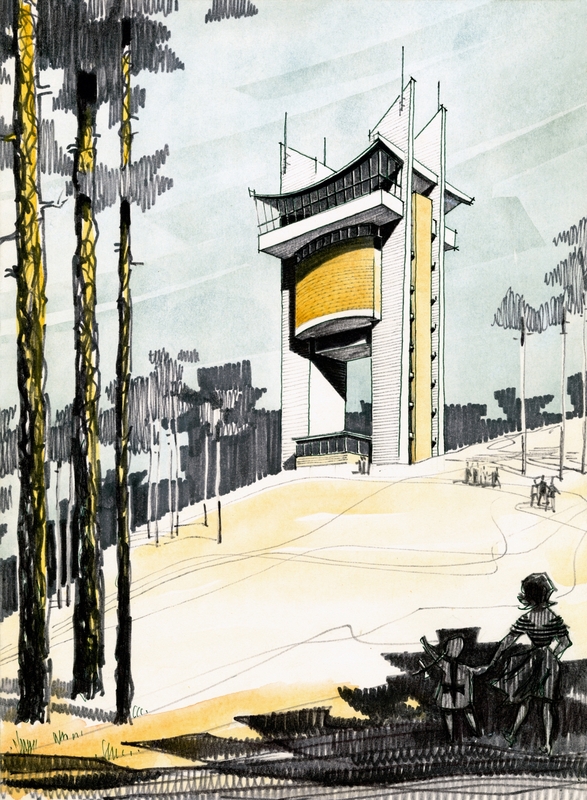 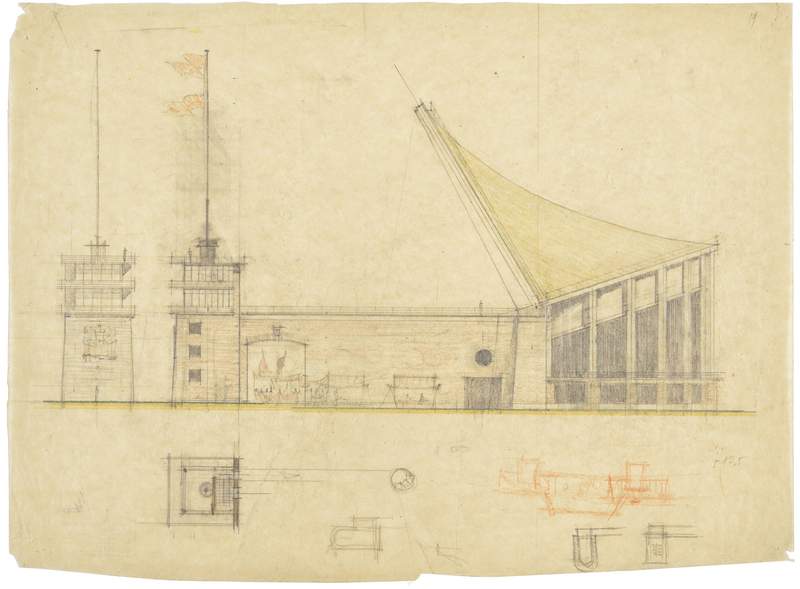 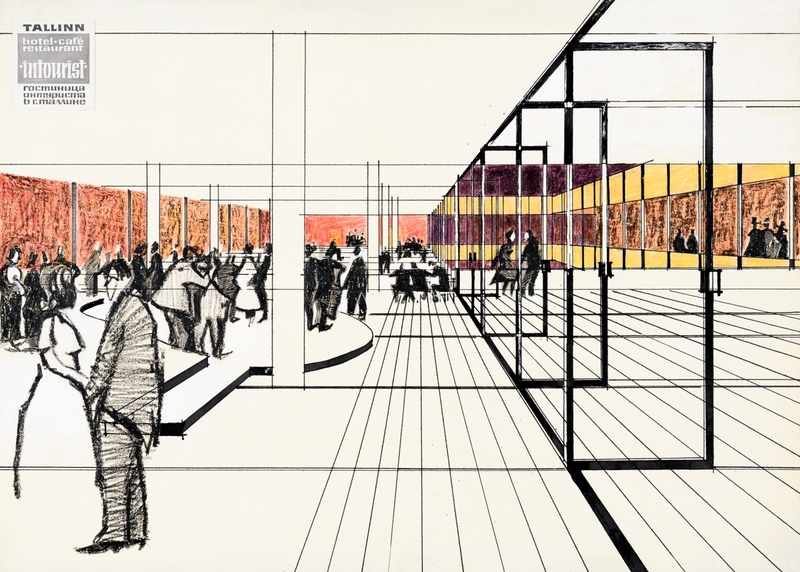 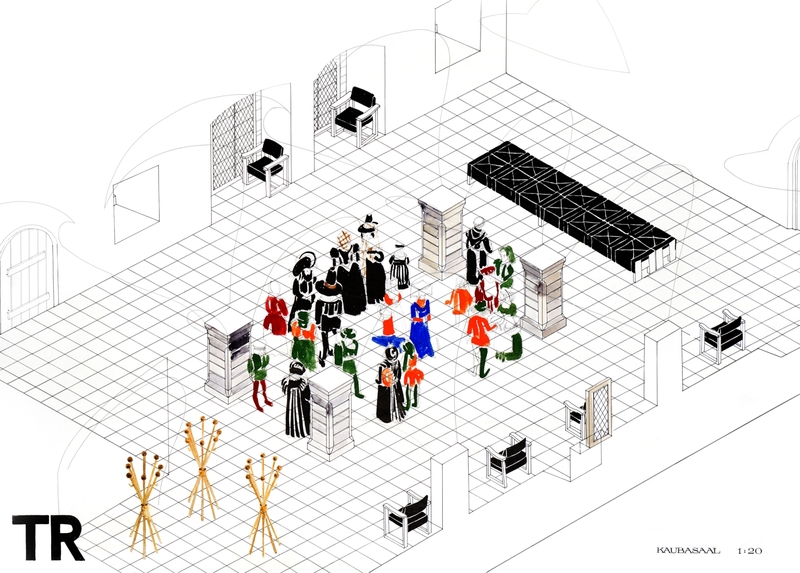 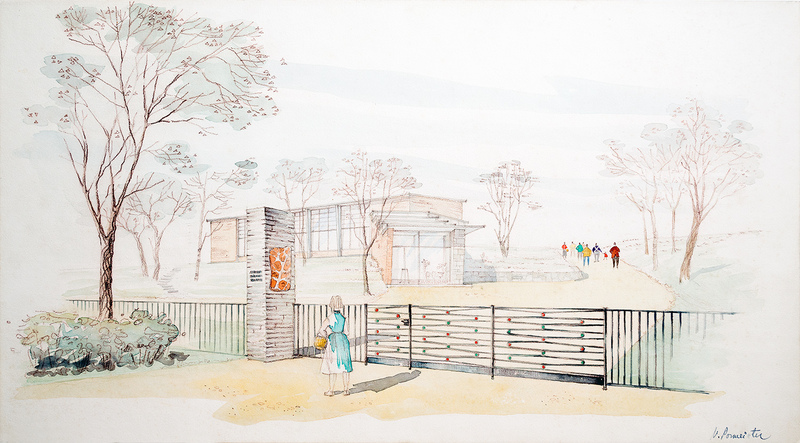 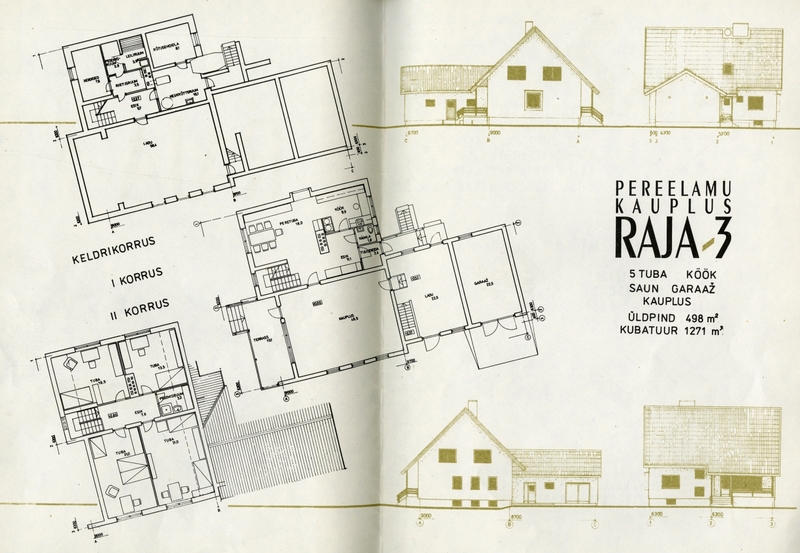 Urmas Muru’s vision for the Pärnu Computation Centre was a graphical Neo-expressionist design that was characteristic of Rühm T’s works. 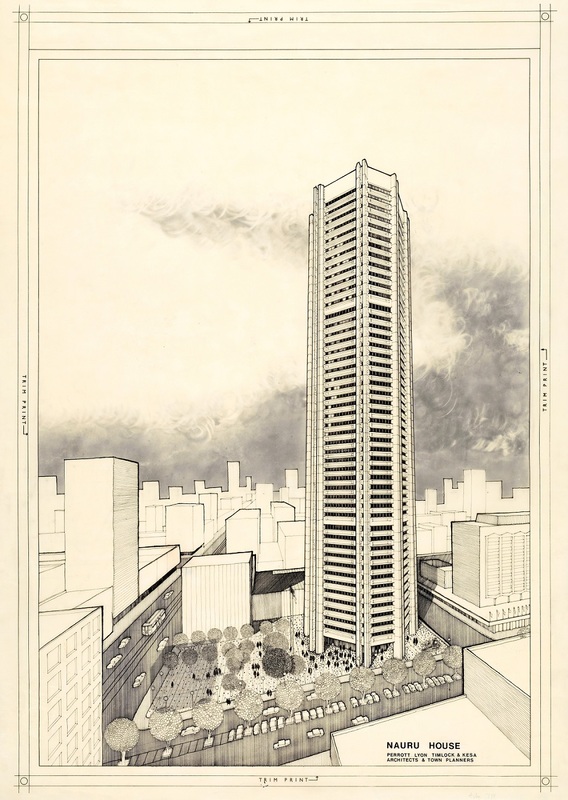 The strong angle of perspective and black-and-white pencil tones proceed from buildings of technical function and appearance. 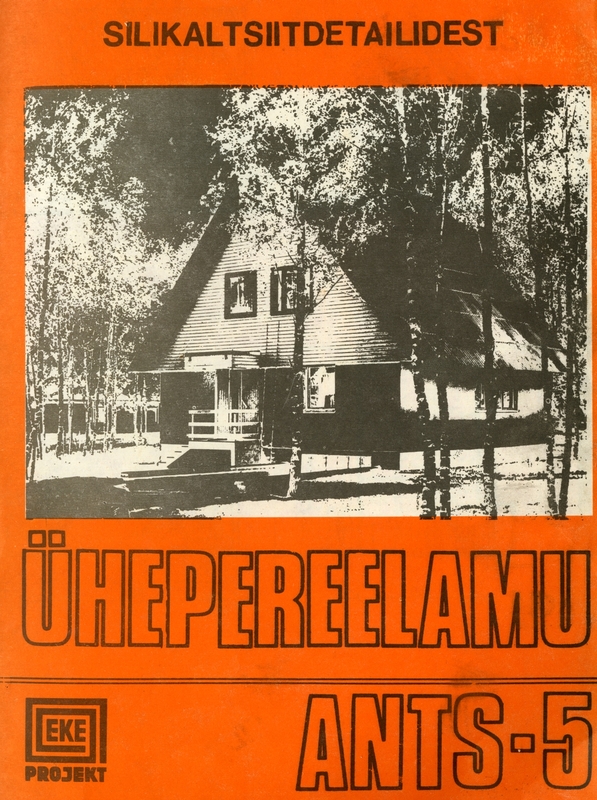 This led to a unique style that Kurvits and Muru termed “technodelic expressionism”. 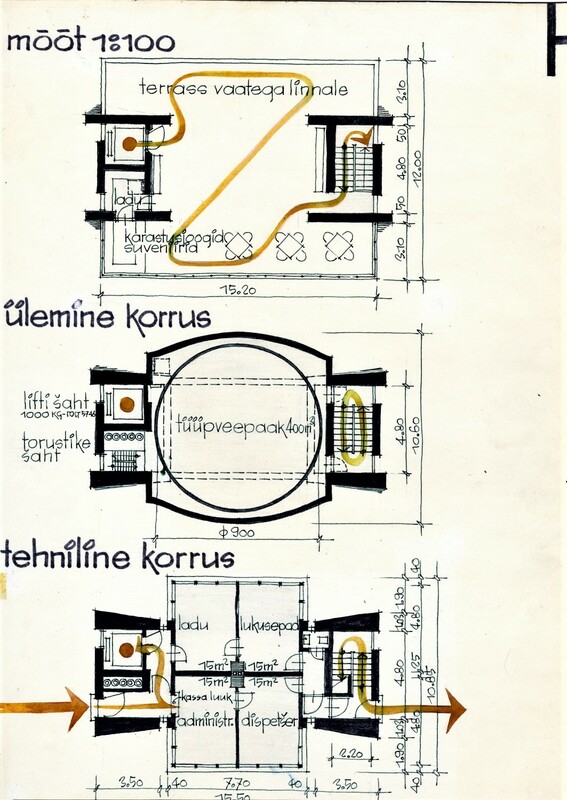 They described ‘technodelics’ as a revelation of the technical world through trance. 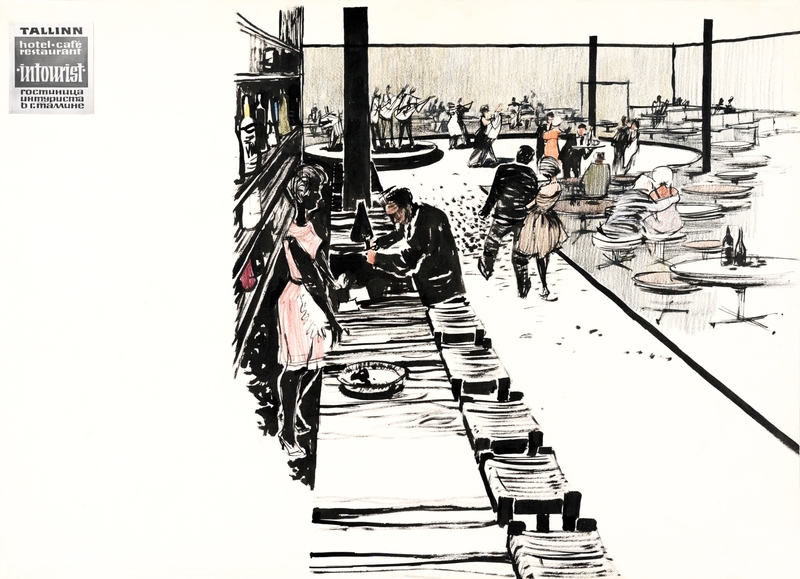 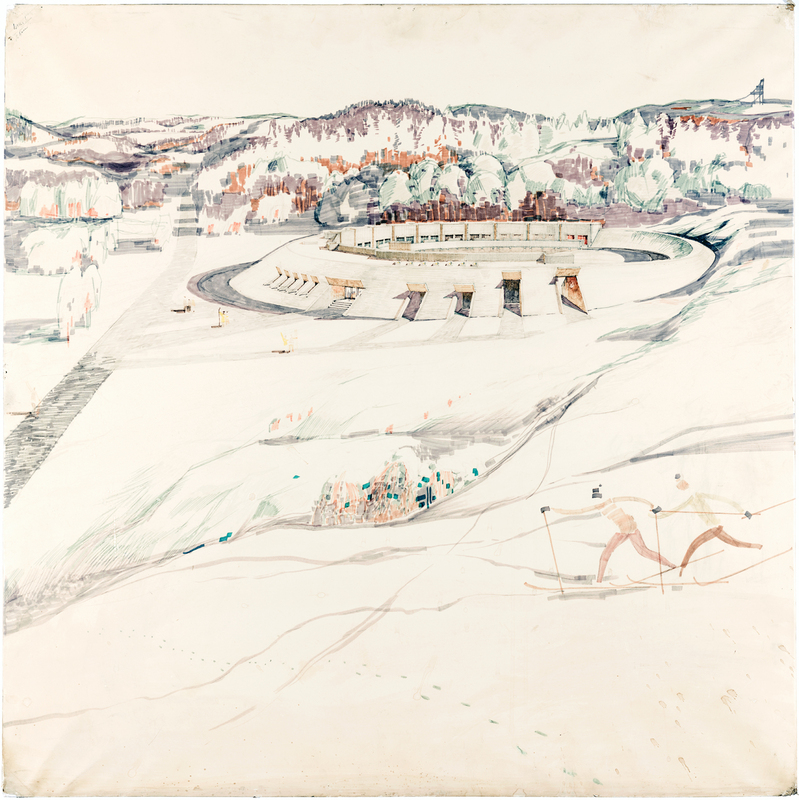 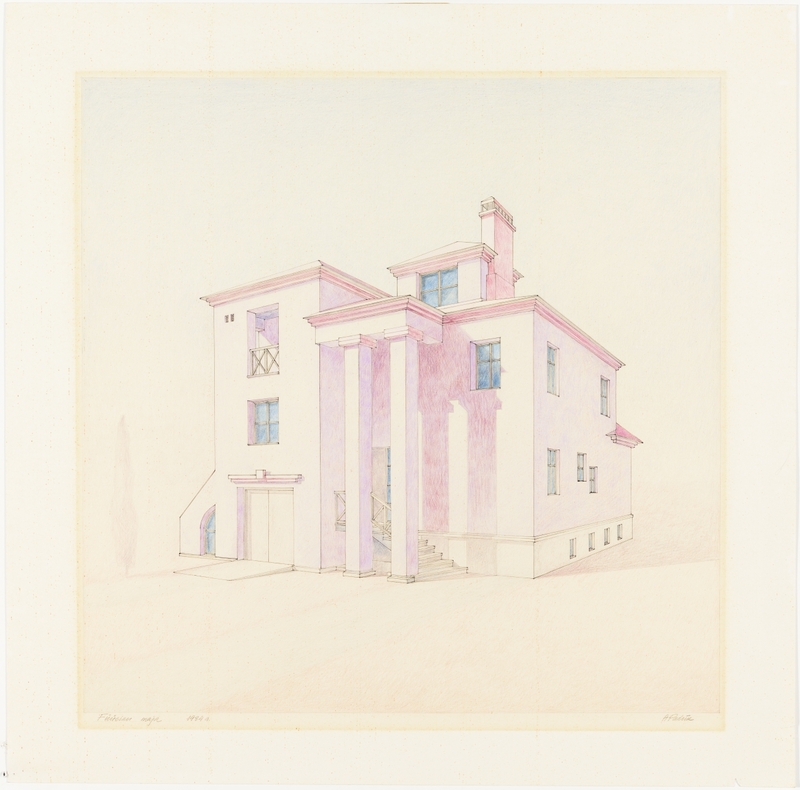 The museum acquired the drawing in 1993 from Urmas Muru. 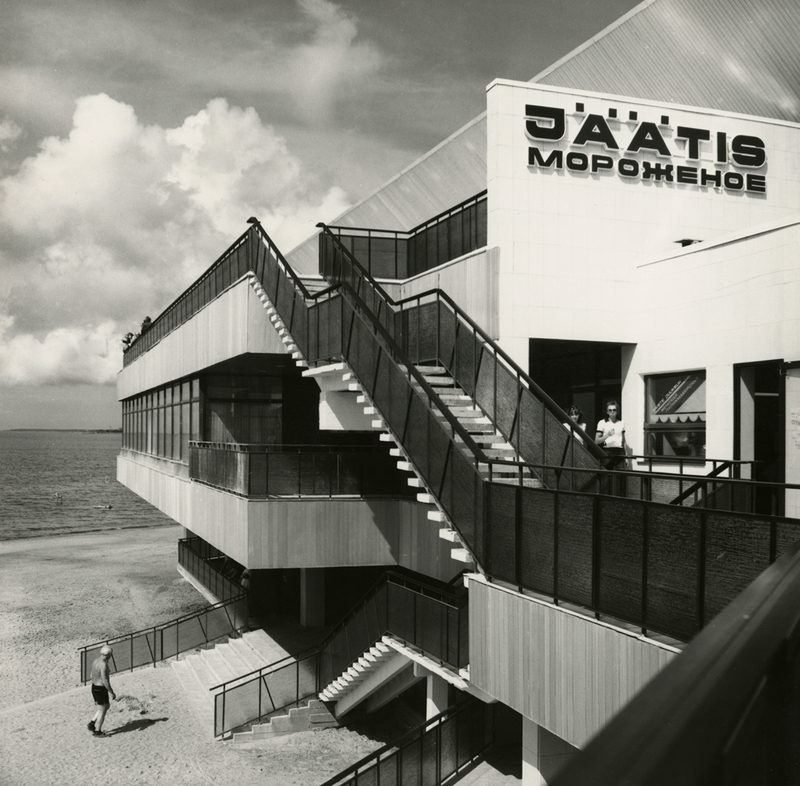 Photographer Rein Vainküla of State Design Office Tsentrosojuzprojekt has captured the photogenic central element of the Pirita beach pavilion with its dining establishments, in which the combination of architectural parts provides an impressive melange. 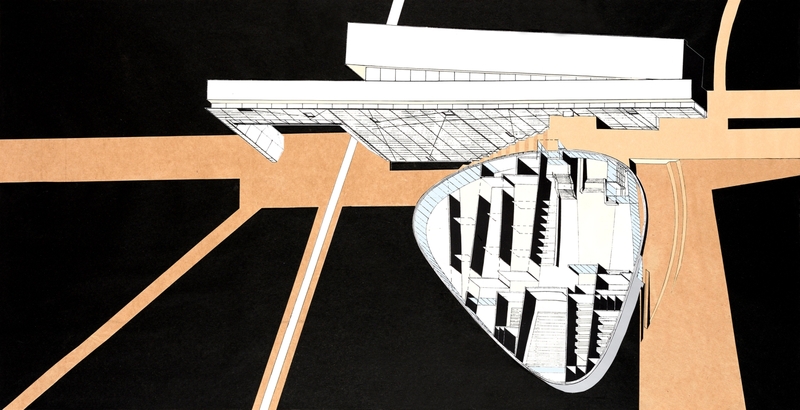 The shot, built on contrasting tones and diagonal lines, creates a somewhat deceptive, even constructivist impression. 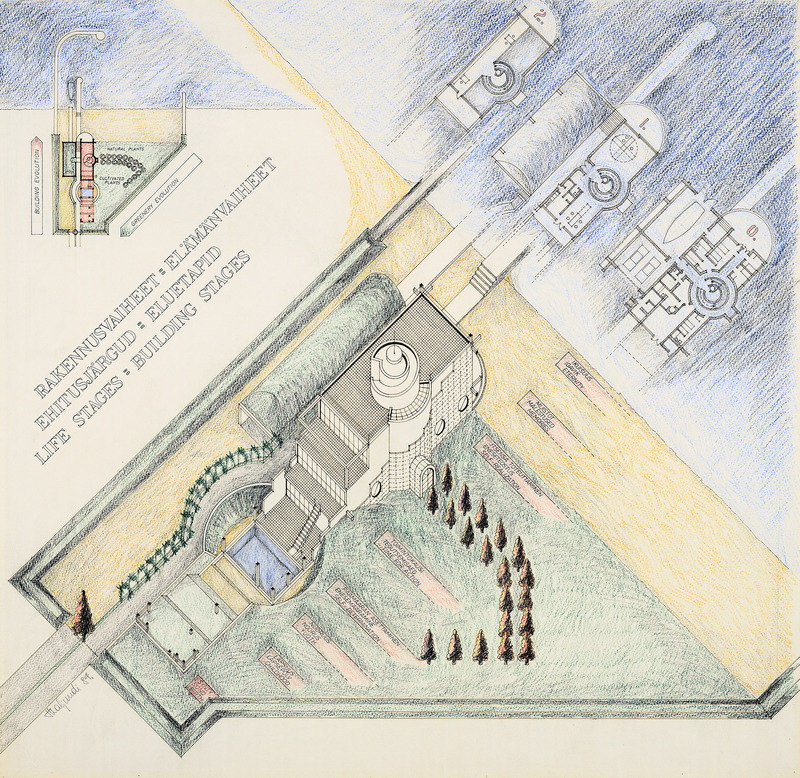 A human scale is added to the photograph by the beach-goers that seem to be almost strategically positioned. 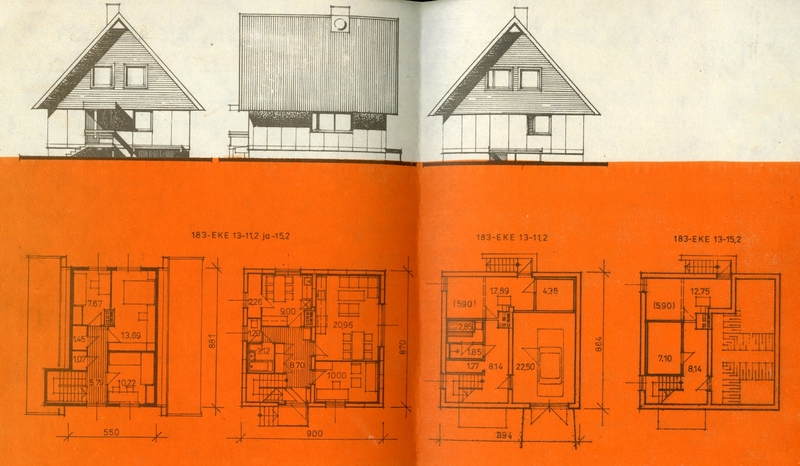 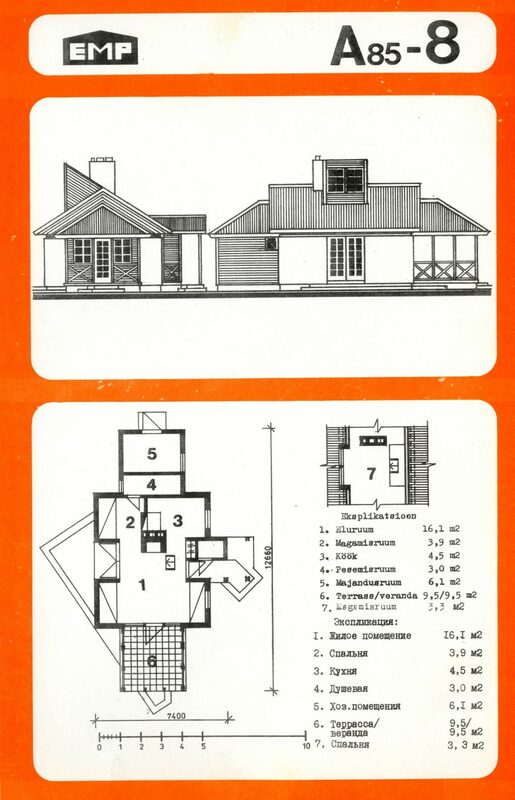 There is a recognisable style to the dwellings erected in Estonia’s immediate post-war years. 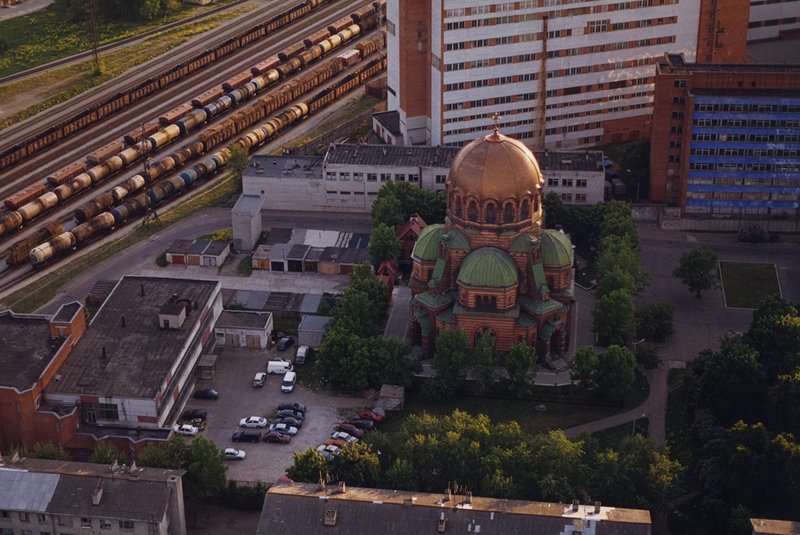 These stone buildings with tall gabled roofs and raised gutter-lines can be found all across the country. 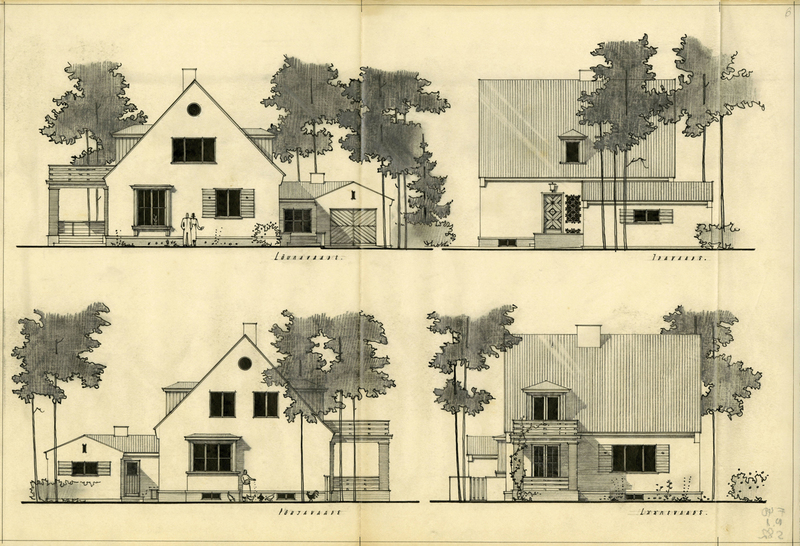 Their construction derives from traditional German heimat architecture, intended to give residents a cosy sense of home with the help of small elements such as romantic shutters. 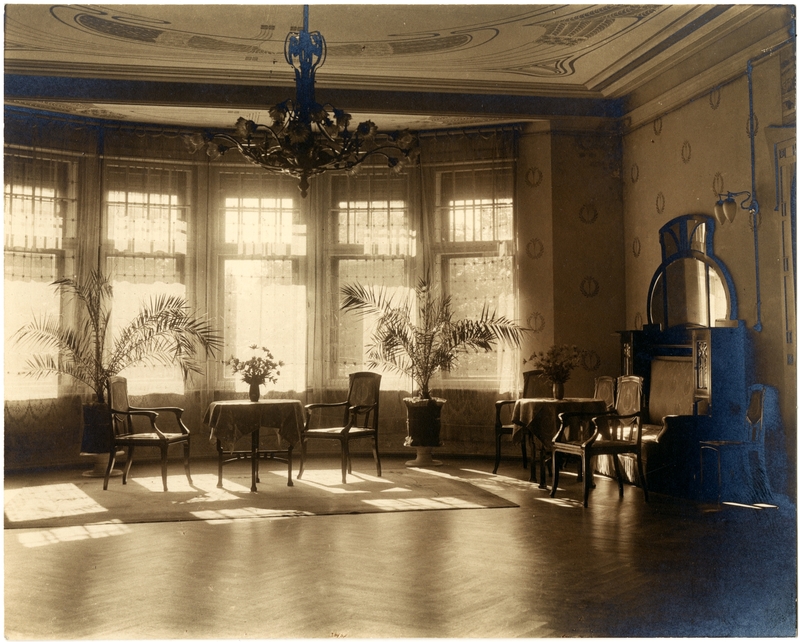 The style also pleased the Stalinist regime: it was sufficiently unlike the dominant pre-war flat-roofed structures, which carried “unfit” Western European values. 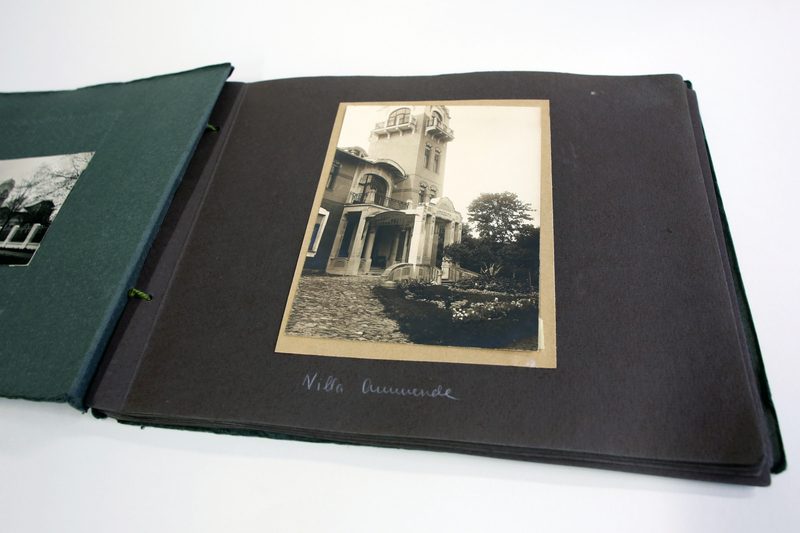 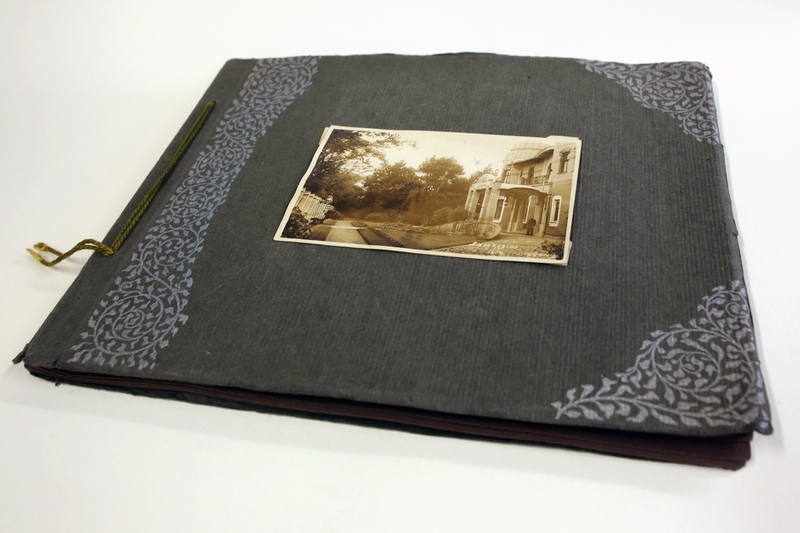 The project was donated to the museum by Maria Tarvas along with many materials from the family collection in 2006.